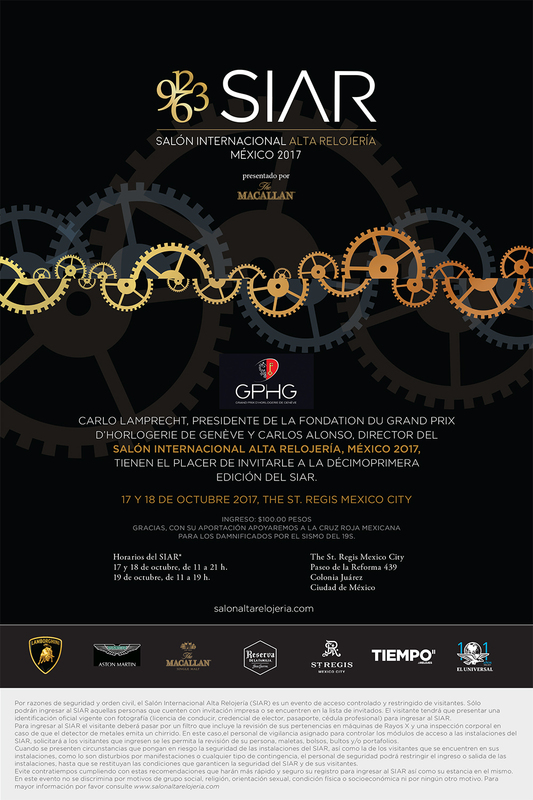 On October 17 & 18, the 72 pre-selected timepieces of the GPHG 2017 will be presented in Mexico for the first time - with the occasion of the SIAR, a very prestigious Mexican showcase dedicated to fine watchmaking. Before this, pre-selected timepieces will make a stopover at Berger Joyeros a famous local retailer, from October 12 to 14, 2017. With this addition to the numerous locations visited by the GPHG to date, the latter confirms its objective to promote fine watchmaking worldwide. By their presence in Mexico, the President of the Fondation du Grand Prix d’Horlogerie de Genève, Mr. Carlo Lamprecht and his Director, Ms. Carine Maillard, are willing to show their support to the country and join the great movement of solidarity prompted after the announcement of the terrible earthquake. 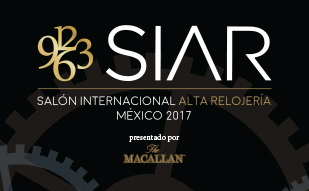 We hope this SIAR 2017 will be more radiant than ever!